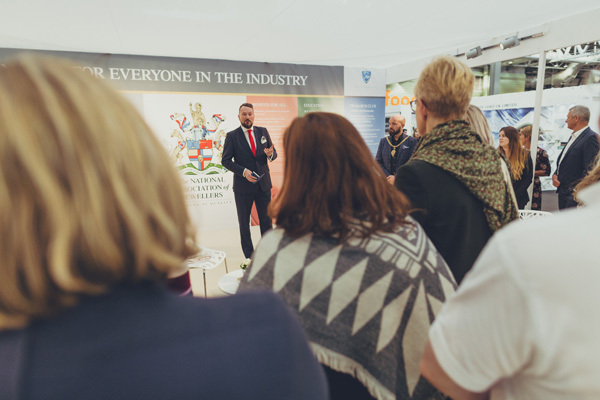 Based on Stand 18N40 in the Jewellery Services & Solutions area of Jewellery & Watch, the NAJ will present a range of seminars and panel discussions on a variety of topics, including succession planning, synthetics and detection technology, understanding the consumer and valuations. These informative and educational talks will take place in The Studio – a new seminar theatre space in Hall 19 of Jewellery & Watch. On the fifth and final day of the show, the NAJ will offer a series of workshops themed around New to Retail. Highlights include a beginner’s guide to valuations and insights into coloured gemstone grading aimed at sales associates, young designers and giftware professionals who want to develop their skills. The National Association of Jewellers, along with its official stand partner and preferred insurance provider TH March, has long-supported Jewellery & Watch and Spring Fair as a Key Partner. By continuing to work collaboratively, they hope to reiterate the historic significance of Birmingham as a centre of jewellery excellence and enhance the positioning of Jewellery & Watch as a vital meeting point for the sector at a strategic time of year. The Studio – How do we change consumer behaviour? With technology, experiences and global travel drawing the attention (and spend) of millennial consumers, how can jewellery retailers and brands encourage consumers to buy from them? This discussion, led by NAJ chief executive, Simon Forrester, will consider this question and outline the efforts the NAJ is making with its consumer-orientated campaign. One of the biggest challenges that most independent family-run businesses face is continuity. The jewellery sector, unlike many others, has many businesses that have thrived and been passed down from generation-to-generation. However, retail is changing, and is no longer as attractive to the next generation who we would like to hand the baton to. Join the NAJ and Jo Henderson, founder of JHJ Consultancy, as they share lessons learnt from businesses that have navigated these choppy waters, while exploring the governance needed to ensure resilience in times of change. Inspired by the many individuals who join the jewellery retail sector every year, the NAJ has partnered with Birmingham City University (BCU) to offer a day of seminars themed around ‘New to Retail’. Highlights from the day include two sessions by Michelle McCormick, gemmology, diamond and jewellery studies lecturer at Birmingham City University’s School of Jewellery. Unlike diamonds where there are clear guidelines that indicate quality and value, coloured gemstones are far more complex and require greater understanding. In this exclusive workshop, Michelle McCormick will equip attendees with the knowledge to talk confidently about coloured gemstones, while also explaining to customers what justifies their value and beauty. Gemstone treatments can impact the price, quality and aftercare of a piece of jewellery, so it is important to be able to talk to customers with confidence. This beginner’s guide to gemstone treatments will explore some of the most common techniques used in the trade, including laser drilled diamonds, fracture filled diamonds, heat treated sapphires, glass filled rubies, emerald enhancements and composite gemstones. Assisting in this mission to kick-start the jewellery business year are J&K Henderson and many other prominent exhibitors, including Gecko, HW Tankel, Connoisseurs UK, Hanron Jewellery, Jo for Girls, Azendi, London Pearl, Marjo, Pilgrim, Storm of London, UJT and Wedds & Co.
Jewellery brands and businesses located in Spring Fair include Accessories by Park Lane, Shrieking Violet, Carrie Elspeth and Big Metal London. Jewellery & Watch will take place from February 3-7, 2019 at the NEC, Birmingham. 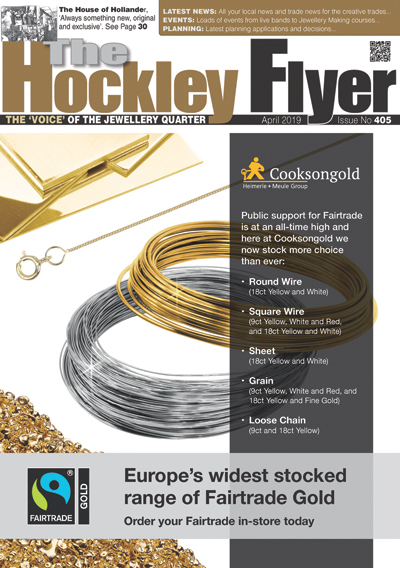 To secure your free ticket or to find out more, please visit: jewelleryandwatchbirmingham.com.